We are born just like everyone else, right? So, why do we always think we are "special"? That’s the question director King Vidor indirectly asks us to ponder in this classic 1928 silent social commentary film. Everyman John Sims (James Murray) is born on July 4, 1900. He passes through his adolescence confidently believing that greatness lies ahead. This confidence is severally shaken when he arrives home one day to find a crowd gathered outside his home. As John ascends the stairs Vidor captures the boy’s true insignificance in a fixed shot from the top of the stairs where John appears as a tiny figure at the bottom of the stairwell. Before reaching his destination John learns that his father has died and he is now expected to be a brave man. At the age of 21 John decides to head to Manhattan to make his name. On the ferry ride John meets a cynical man who warns him, "You've gotta be good in that town if you want to beat the crowd." After reaching the city John is introduced to New York in King Vidor style. Hustle, bustle, confusion, traffic, large buildings and even larger crowds greet a dizzied John—I mean this literally, as Vidor used a continuous clockwise turning shot to emphasize just how massive and confusing the city can be. John takes am insurance clerk job and finds himself seated with hundreds of other Everymen—this scene is recaptured in Billy Wilder’s The Apartment. How can he distinguish himself from the others? John hopes that he can win $100 for winning a product naming contest and he also attends night school. He meets his soon-to-be wife Mary (Eleanor Boardman, Vidor’s wife) via a blind date at Coney Island. In a rather quick courtship (1 night) John asks Mary to marry him after seeing an advertisement on the subway that reads: "You furnish the girl, we'll furnish the home!" After honeymooning in Niagara Falls they find themselves living in a cheap apartment right next to the subway. Her family thinks he’s a bum and he doesn’t do much to disprove their doubts about him. He finds fault with everything they have and takes out his frustration on his wife for what they lack—mostly due to his own inadequacy. When she tells him she’s pregnant he swears he will treat her much better and try harder to be a success. Fast-forward five years and the Sims have a son and a daughter, John has gotten an $8 raise, and he wins a $500 slogan contest. The family is happy for about two seconds and then the daughter is run over by a truck. As his daughter is dying John watches how little his (or any other) life means to the crowd as it noisily continues raging outside his windows. 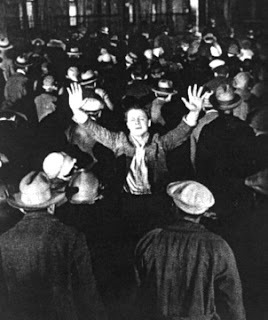 As he rages against the crowd to be quiet a policeman says one of the most salient things ever expressed in silent film: "The world can't stop because your baby's sick." After his daughter dies John becomes depressed and has a breakdown at work and quits. He then goes from job to job (very quickly) and soon finds himself virtually unemployable. Mary has to become a dressmaker to support the family. Her brothers beg her to abandon John, especially after he turns down their offer of a job. She calls him a quitter and tells him she’d almost rather see him dead than the way he is. John contemplates suicide but lacks the courage to go through with it. Luckily for John his son gives him the courage to try to rebuild his life. He takes a job juggling balls to attract attention to the sign he is wearing—a job he earlier scoffed at in the film as beneath him. When he returns home to tell Mary he’s taken a job he finds that she’s packed up her stuff and is leaving with her brothers. Just as she’s about to leave he offers her some violets and tickets to a variety show. She stays and they go to the theatre, which provides the viewer with one of the most amazing closing shots in silent film. As the family is laughing Vidor uses an overhead trolley shot to pull away from them and show an indistinguishable crowd of laughing faces. 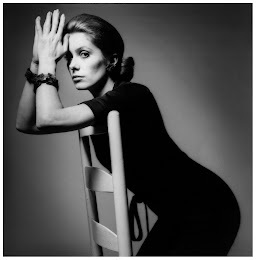 First, let me say Mary was a saint—I would have shoved those violets down his throat. That said, this is one of my favorite silent films of all-time. The camerawork is top-notch and Vidor’s overall vision for this film is stunning. This may have something to do with my love of German Expressionism, because this film was undoubtedly influenced by the work of Fritz Lang and F. W. Murnau. What I find truly exceptional about this film is the overall message that it sends to the viewer: for 99.9% of the population life is tedious, unassuming, and unspectacular. It’s that whole debunking of the childhood fantasy that the world revolves around you. You are a part of the crowd—no more, no less, now deal with it as best you can. 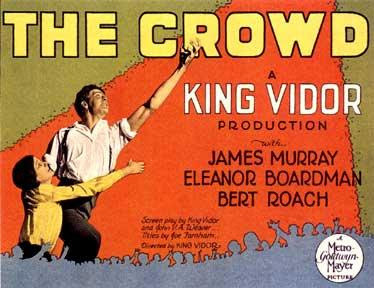 King Vidor was rightly nominated for an Academy Award for Best Director and the film was nominated for Best Unique and Artistic Picture. This is a true silent gem that all film lovers should see. A great film, and far superior to "Wings". A film of unpleasant and disturbing truths. I agree. I think Wings gets a lot of recognition because of its technical elements. If it is possible to love and hate a film at the same time then this is the one. It is so depressing that I had to cut it to pieces to stomach it and when the child is killed I had to wait a day before I could resume it. 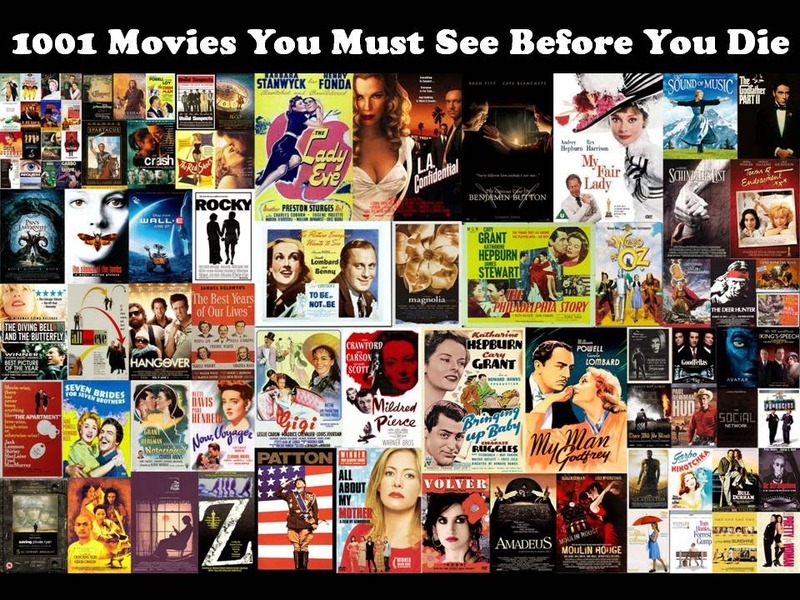 Yet you are right, this is a brilliant film, both technically and in terms of message. You are what you are, deal with it. Thanks, TS. This is a depressing film, but it carries such an important message.